New to Midland Towbars: Reversing Camera Kits! At Midland Towbars we are continually working to look after our customers needs for their vehicles. We are proud to introduce a new product – Reversing Camera Kits – to our extensive range of products and services available to help you “accessorise your car”! Reversing camera kits include a camera that you attach to the rear of the car and a monitor for dashboard viewing. When the reverse gear is selected the monitor powers up, showing the camera vision. had to say about Reversing Cameras! 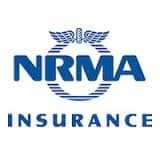 Click on the NRMA logo…..
We have decided on 2 easy options for our customers: A clip-on rearview mirror monitor camera system and a 3.5″ colour monitor rearview camera system. Both systems provide a clear image for the driver and protects children, pedestrians and assets, preventing injury and avoiding costly repairs for dents and other damage when reversing. You and your passengers will be able to enjoy a safe journey no matter the destination. Email us today for more details regarding the rearview safety systems we have on offer. Choose Midland Towbars today, your 1-stop accessory shop!